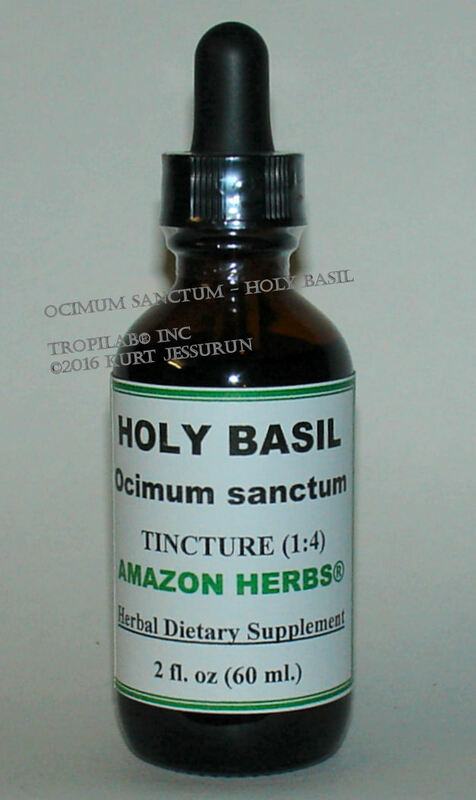 Ocimum Sanctum L - Holy Basil. 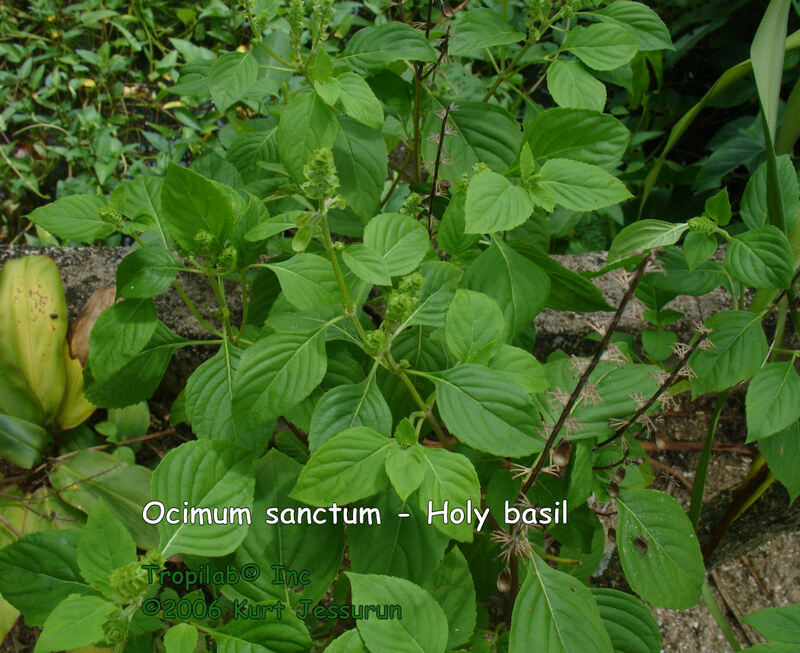 OCIMUM SANCTUM L. - HOLY BASIL. 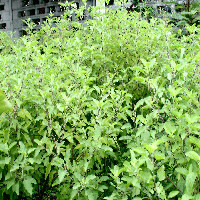 Common name: Holy Basil, Tulsi, Tulasi, Kemangen. 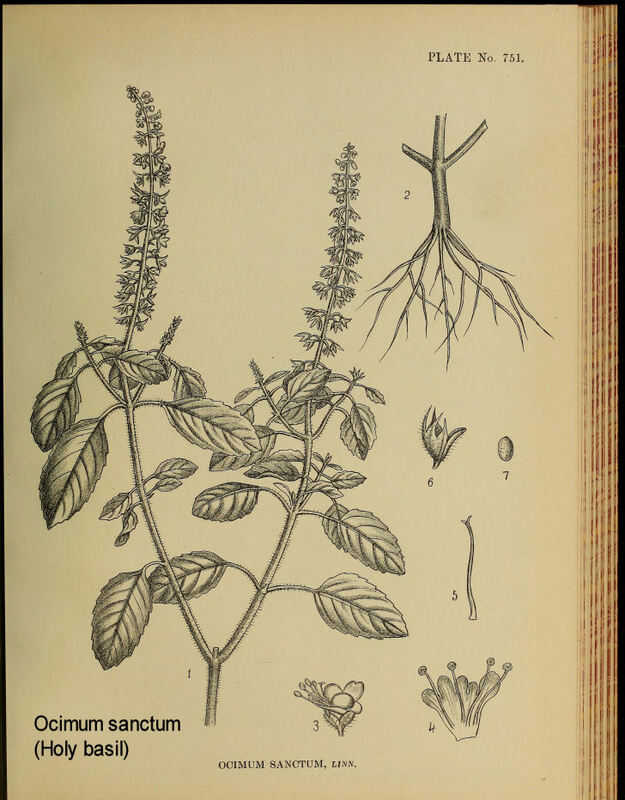 Holy Basil is a tropical, much branched, annual herb, up to 18 inches tall; it grows into a low bush. It is considered sacred by the Hindus; it has small leaves and a hairy stem with a strong smell and purple flowers and has a sweet-camphoraceous fragrance. There are two varieties: a red - and a green one. Red holy basil has a stronger smell. This plant, originally from India, grows abundantly in Suriname. It is used in the Thai cuisine as a spice. Apart from the religious significance, it also has substantial medicinal meaning and is used in Ayurvedic treatment. Tulasi has antimicrobal properties since it is also anti - inflammatory due to the oil eugenol, present in the leaves. It is useful in respiratory tract infection. 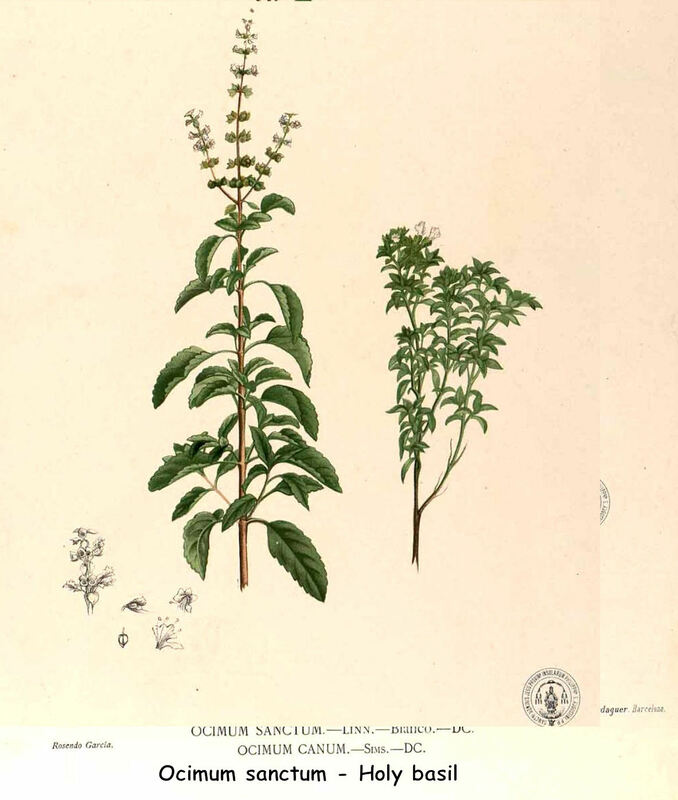 The Ursolic acid present in holy basil, has anti-allergic properties. The plant can play a role in the management of immunological disorders such as allergies and asthma. 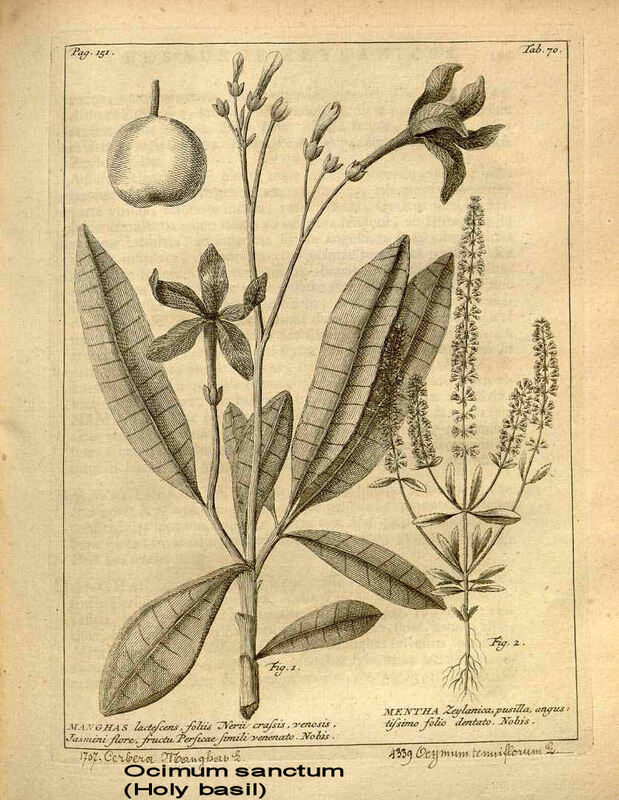 This plant also has a place in Suriname's traditional medicine. The juice of the leaves is used against diabetes, fever and as an antidote for snake and scorpion bites. It's anti-spasmodic properties, relieves abdominal pains and helps in lowering the blood sugar level. Hardiness: USDA zone 7 - 11. Culture: full sun / partial shade, well drained soil.